Tsuru's Morning Stroll is finally announced for Global! With Tsuru comes the possibility of Shooter Teams (at long last) as well as some new units to play with. Tsuru opens the possibility of the Shooter teams in Global. While it won't be on the same tier level as Slashers, it does open the door to the most utility based typing. Tsuru's health isn't high but she does feature a fairly high attack stat. She's a decent INT filler unit for those that want it. 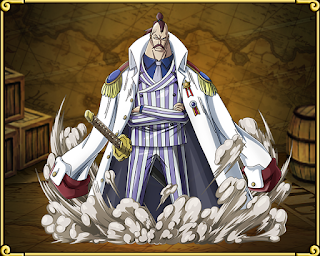 Called "Mini-Mihawk", Onigumo can find room in Vivi teams with low health and percentage damage special. His stats are usable but doesn't mean he's a "must-use" unit. There are 7 different Stages in the island. 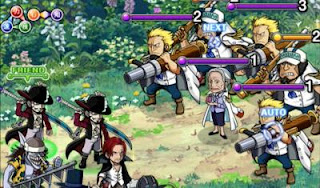 The following images are provided by GameWith. The island opens with a fairly basic set of mobs. You should be able to stall a 1-3 turns at this stage. All Shooters for your Tsuru team. 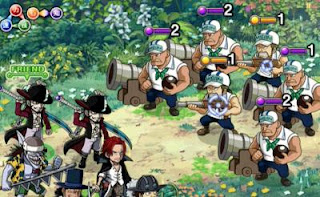 You'll fight Momonga with mobs. 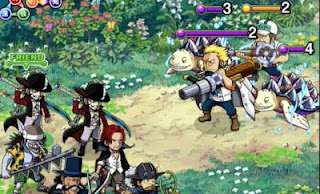 As usual, Momonga will use his special when he's at 20% or below health. Some armored mobs. Luckily they can be cleared without taking much damage. 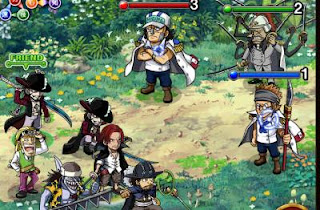 If you aren't used to Bandai's "Stage before the final Boss" formula... This is a good example. 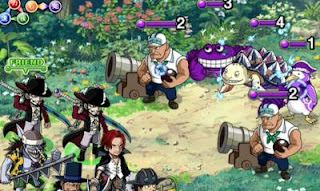 A Crab, a Turtle, a Pirate Penguin and mobs. They are all droppable (if you need the penguin). Tsuru with 5 mobs. 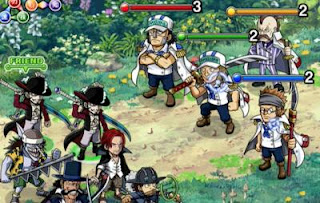 Depending on your damage and team, you may be able to focus Tsuru before the mobs. If not (and you want to play safe), clear the mobs before Tsuru. He'll pre-emptively bind a random unit for 2 turns. 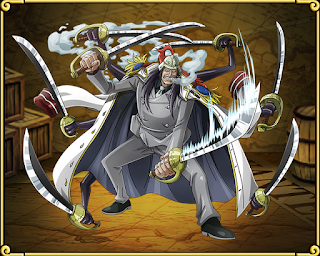 Onigumo will attack for 2,880 damage and is about as tanky as Momonga. 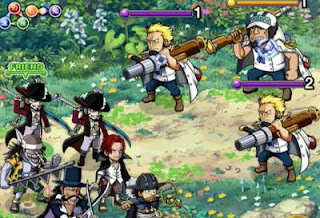 Coby is an orb-booster and a PSY unit which is the natural enemy of the INT units. 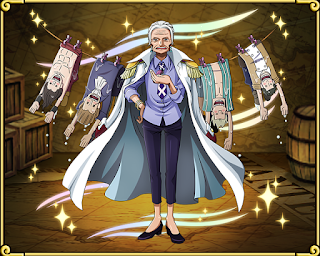 Coby is a highly valuable unit for your fight against Vice-Admiral Tsuru. The other PSY leader. 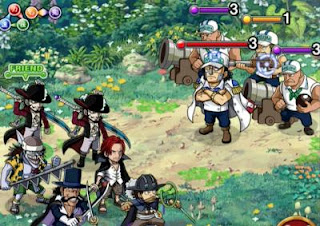 While Garp is preferred, some people prefer to simply burst down their competition at which case - nothing is wrong with Red-Haired Shanks.